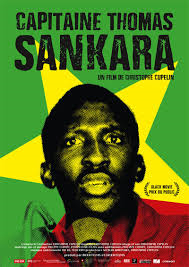 I had to share the trailer of the documentary “Capitaine Thomas Sankara” by Christophe Cupelin, which was shown this year at the FESPACO 2015 in Ouagadougou, Burkina Faso. This is the first time a movie about Thomas Sankara, the African Che, could be shown at the FESPACO in 27 years since Compaore‘s coup. Enjoy!